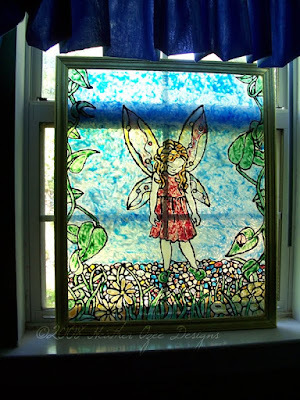 You can create a stained glass that will cling to the windows of your home. Gallery Glass is the perfect answer for a special window that you want to draw attention to. In this case I'm freehand designing the gallery glass paint on wax paper. I pre-measured the window to be sure it would fit the window's width. Free hand draw your design on paper. Place paper under the wax paper, which you will use as if it were tracing paper. Now trace over the main “lead” lines of your design on the wax paper. Fill each section of the design with the desired color. 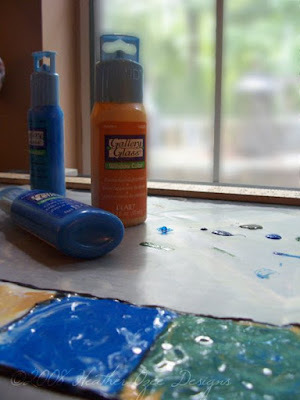 Once dry it simply gets pealed off the wax paper and clings to the playhouse windows! 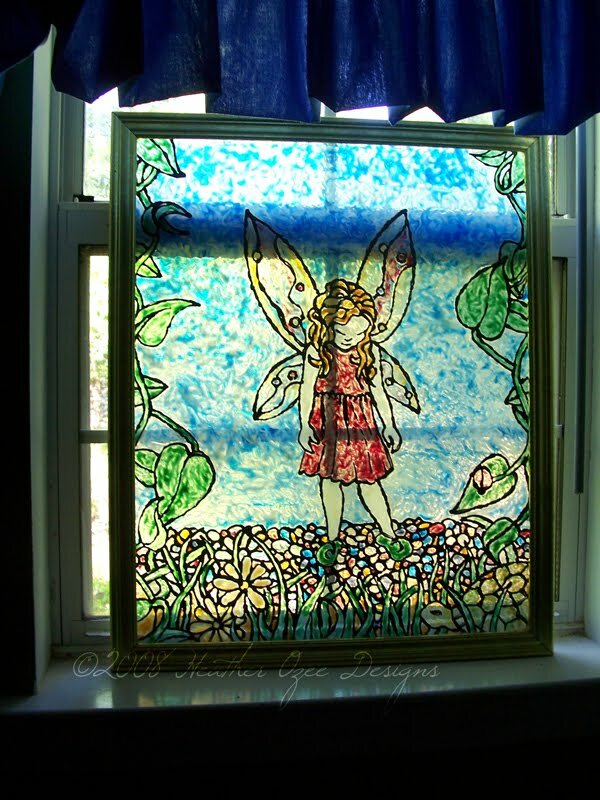 I designed this fairy themed stained glass for my first daughter’s nursery. I took a picture frame, removed the cardboard back and did the steps above directly onto the picture frame glass. It now let’s light filter into the girls bathroom, while keeping their privacy. 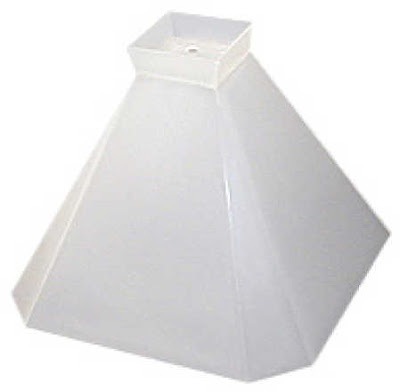 You can also purchase blank lampshades to create a custom lamp with your own unique style. Plaid makes many other great craft products, but by far Gallery Glass is my favorite. Happy Creating! I can't explain the thrill I get when my favorite magazine is in the mail box. I have to flip through quickly to see what goodies await inside. 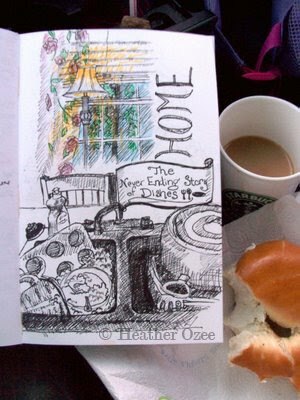 And then circle back with a cup of coffee and a blanket to sink in. What Magazine is it that get's me giddy like a child Christmas Morning? Why Mary Janes Farm of course. 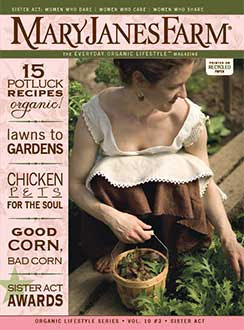 It's a magazine filled with lovely articles on home gardening, organic cooking, crafting and so much more. 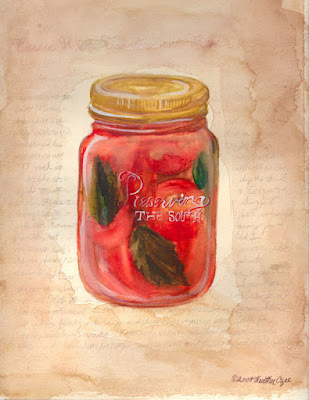 But it's not just the content, it's how the pages are embellished with lovely vintage illustrations. It's just a wonderful read. And I do admit it makes me want to run out the door and buy some baby chicks to raise. 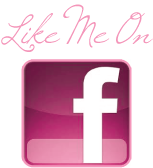 So be sure to check out Mary Janes Farm. And of course I've been working on lots of art. Sadly I have no images to share of the Taj yet. I've been in alligators up to my arm pits ;) So soon I hope to spend some time snuggling up to my easel. 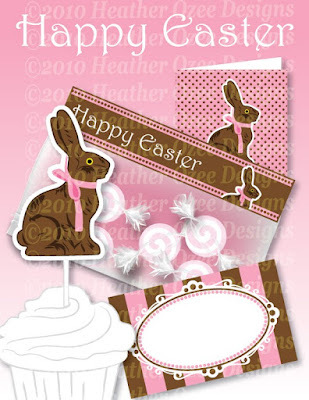 I have however been working on Party Printables for this Spring. My newest set in the shop will make any teen or bride to be grin! 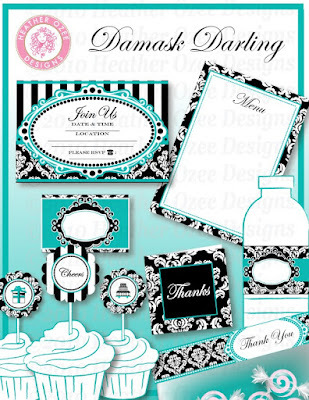 It's a swank Printable Party set that's all black and white damask with lovely accents in Tealish Blue. I call it Damask Darling! You can purchase by clicking on the here. P.S. I've had Robots dancing in my head and can't wait to get those designs whipped up too! When we're caught up in the chaos of our everyday life it's easy to miss the beauty around us. There's a lot of truth in that old saying beauty is in the eye of the beholder. So keep your eyes open to the beauty around you. Even the every day task can take on a sentimental or romantic beauty when looked at by a seeker of beauty! We have spring fever around here. My girls have peeps dancing in their heads and every store we go in makes their eye's pop with excitement. 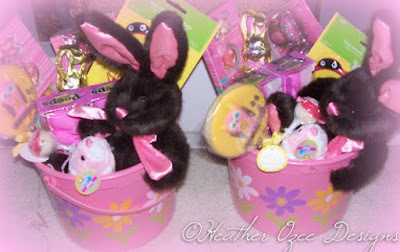 The stores are all decked out with stuffed bunnies, candy and spring dresses galore. They ooh and ah over the sweets and beg for a stuffed bunny here and there. I love the anticipation that builds wondering what little treats they'll find in their Easter basket this Easter. They had a certainly had a bounty of treats last Easter. I'm also starting to work on a commissioned painting of the Taj Mahal. I'm thrilled and have the canvas already sketched out. Hopefully I can share a glimpse of how it's coming next week. 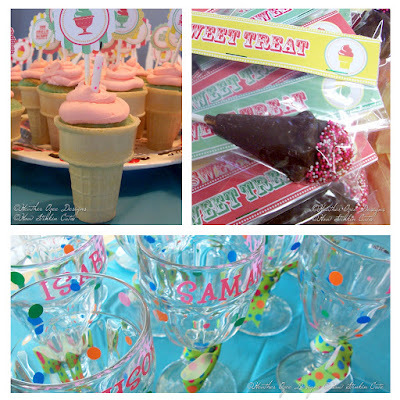 Party set does not include Ice Cream dishes. 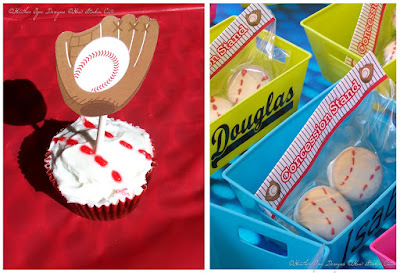 Party set does not include baskets. And please remember to continue to pray for Japan and it's people. Just a quick note to say the Hippos Party Pack is available! 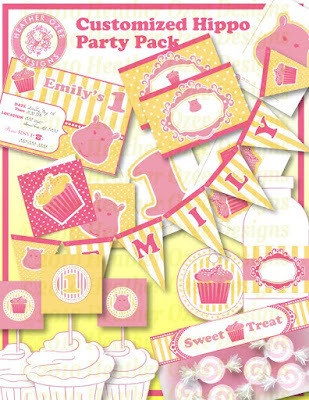 It's a customized party printable set that will have your invitations filled in and your child's name and age featured on the cupcake toppers, banner and invitations.